After the 500th time getting frozen and dispatched like freezer-burnt meat, I finally went to play Mei myself, convinced that I could just channel my W+M1 skills and start wrecking the enemy team as easily as the Meis seem to always do in the closed beta. Long story short, that didn’t work out. Mei is not nearly as easy to play as she acts. Her liquid nitrogen gun seems to behave somehow like the flamethrower in TF2 when it comes to particles, meaning there’s an invisible sweet spot you need to keep trained on your target if you want to freeze them in seconds. Otherwise you’ll barely dent their HP with wispy cold air and won’t even survive to finish them off with cripplingly-damaging icicle headshots. It’s bizarre how many ways Mei reminds me of the Pyro despite missing almost every mechanic that makes the Pyro work. Her icicle shooter feels like a Flare gun that deals in headshots rather than crits, her gimmick is slowdown rather than afterburn, and she can turn invincible and regenerate health like the Phlogistinator taunt. Her only ability with no real comparison is the one where she summons a giant wall of ice, and when I played her it was practically my primary weapon. I almost felt like a support class, constantly trapping a single enemy unit from his escape route and letting my team destroy him. She can even contest objectives while invulnerable! Screenshot from this video. If that loadout doesn’t already clue you in, she’s definitely a “rage-inducing” class, like Pyro, but what caught me by surprise was how well she hid it. Perhaps it’s her carefree demeanor, or that frost lacks the same subconscious primal dread that fire carries, but Mei took me very much by surprise in a way TF2’s Pyro never did. And now that she’s lost the element of surprise yet continues to drive me nuts fighting against her, I can’t decide if I like her or not. It’s no surprise that the FPS genre hates slowdown, so building a whole class around that is just asking for complaints. 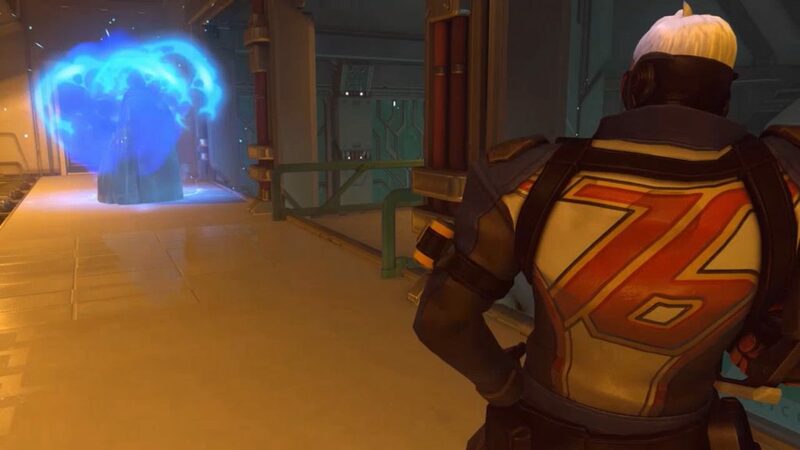 But then again, this is Overwatch, not TF2, and I suspect that every mechanic under the sun is going to arrive on some class after too long, especially if they plan to release new heroes on any regular schedule, so if you need a slowing class, Mei’s probably the fairest way to do it. 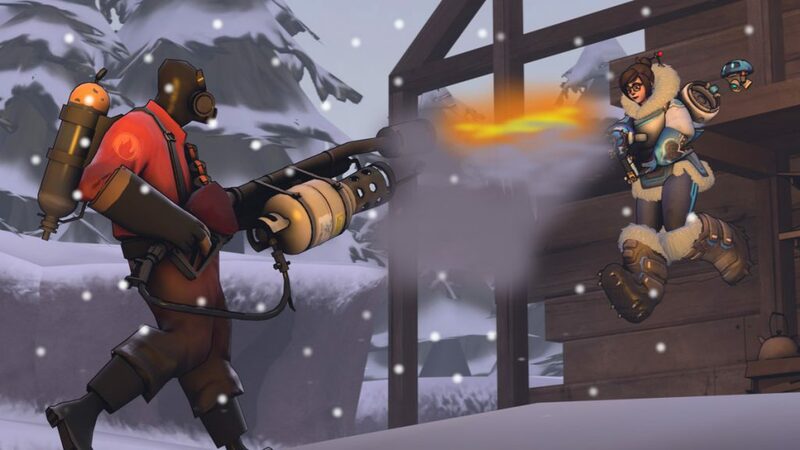 A wary player can avoid her by staying out of her immediate range (ping and latency notwithstanding) and the icicle gun is hard to use against non-frozen players due to being a projectile with a firing delay. I also don’t find her ult that impressive, as it just takes her primary ability and makes it area-of-effect for 5 seconds. Considering most heroes in Overwatch get more dangerous the longer you give them to react, not to mention how many healing abilities are scattered throughout the roster, the most dangerous ults are the ones that do their thing within a split second. But that’s not to say she’s underpowered as a whole. Honestly, her ult is lackluster because the rest of her is almost too versatile. One of the best classes against the inexperienced, Mei is a smorgasbord of trolling tactics and holds great potential for high-level tactics, especially in a 1v1 against any other hero. But her setup time is a very real downside with many counters. Previous Previous post: Overwatch comes out today!